It always feels good to organize a little corner of the house. M's room has been a disaster lately with books piled high in every corner. She has taken a leap in her reading and has really started reading independently for longer periods of time so she will go into her room and the books are EVERYWHERE. Of course, we have sooooo many books in our house and not nearly enough shelves to hold them. So I proposed a plan to my lovely husband and he was able to create a fabulous system in one weekend (and without a trip to Home Depot!). It looks so much nicer and hopefully will contain the disaster for at least a bit. M had alot of fun helping me organize the books. We started by type but then she went a bit overboard trying to get all the same sizes together, ordering her Magic Tree House books by number........ and it got a bit out of hand. Now my mind is turning on the plans for N's closet and all the fabulous things we could do in there. I am even thinking we could rearrange things to move the playkitchen into the closet once other things are organized to free up room in the playroom. The downside is that M's room got all of my focus this weekend and the rest of the house is proof. So now I need to find that motivation again to work on other things. I find it so much easier to do a new project like this closet organizing but just can't get the same enthusiasm for the laundry, dishes, vacuuming, dusting, bathrooms......... Hmmmm think I will go create a new project!!!!! Well, I have gotten some real orders this past week that will even be paying me with REAL MONEY! WOW!!!!!! I am constantly tweeking the products and was really happy with how these babycakes turned out. The last ones were much smaller and didn't fill out the cake box enough. These ones have 16 diapers, 4 onsies, 4 receiving blankets, 4 washclothes, 1 pair of booties and 6 spoons. These are the wondeful shirts that Katy from SycamoreBaby made the girls for our exchange. They are SOOOO cute and we have gotten lots of comments on them all ready. Truely a one-of-a-kind item that is unique, hip and funky!!!! I really like the extra detail on the back. I thought March was supposed to be in like a lion and out like a lamb, but that is not the case for us. This is what we woke up to today and M had her first snow day of the year for school! We were able to enjoy the snow a bit, though it was too powdery for snowmen. I pulled the girls around on the sled for awhile and got a good workout before the complaints of cold feet won over (maybe because mommy had them in rain boots instead of snow boots!!). It was really pretty, but my daffodils and helleborus got hit hard. Hoping the tulips weren't up enough to be effected too badly. HAPPY SPRING TO ALL! They say we may even get more tonight. It is truely amazing what a little scotch tape and cut up kleenex can do for a child's imagination. I was all prepared to make homemade clay and create pots with the girls after lunch, but as I was cleaning up they started playing nicely together. And my philosophy is if they are entertaining themselves then I shouldn't interrupt (especially since it happens so rarely!). So with the above mentioned tape and kleenex they were animal nurses tending to the sick and injured. I was called upon occasionally for my expert medical opinions but they were fully engaged for 30+ minutes with not one squabble or need for motherly intervention. It was quite lovely!!! SOOOOO you will have to wait for the K-POW activity of clay pots for another day! I am sure you will be on pins and needles waiting! Well since I had all my scrapping supplies out and fairly organized from my weekend away (which I will be posting about SOON) I decided we would do a GREEN collage in celebration of St. Patrick's day. I anticipated not too much interest in it but the girls really got into it and stayed focused for a good amount of time. I think the fact that we did it on the kitchen floor instead of the usual art table in the play room made it seem more interesting. It always is a good reminder to me that changing things a bit can help refocus our thoughts. They liked digging through my supplies to find some fun stuff like ribbons, buttons, brads and stickers. From their own supply came out the always popular glitter glue to help tie it all together along with some pom-poms and other fabulous treasuers. I also used my new supply system with them of using a muffin tin to put all the little fabulous supplies that like to spread out all over the work area and I think that helps keep them focused and interested. We flipped through magazines to find some green pictures to add. The end result isn't a masterpiece but very kid friendly and tactile. Friday is the big day for my scrapbook retreat weekend!!! 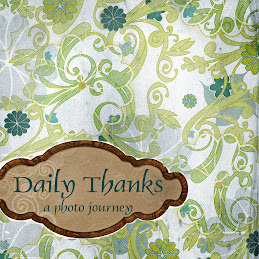 I am really excited to have so much time to focus on my scrapbooking with no interruptions. I will have from Friday at 2:00-Sunday at 4:00 to scrap away. The owner of the retreat will cook all the meals and everything!! I doubt I wll get out of my pajamas for 2 days. I really want to be as prepared as possible. I have been working on layout ideas at home and have the photos sorted in an index card box by layout themes. Then I have been going through my scrapping magazines to find inspiration. I tear out the pages and put them into the box with my pictures. And I have been drawing some layout sketches to help get my thoughts composed. Now on Wednesday I will work in the craft cave to organize supplies and figure out what I need to bring. Which will end up being close to EVERYTHING! It is so hard to know what I will end up needing and I don't want to be stuck not having something. I do plan to pack one box that will be the "emergency box". Things I don't think I will need but I will bring it anyways and leave it in the car just in case. Thursday I am skipping out on my volunteer time in M's classroom and using my Mom's Day Out time to run some errands to get a few last minute supplies and things. So, hopefully that will be it and I will be ready to scrap 'til I drop!!!! My grandmother passed away this morning around 8:00 our time. The past few days she was in a state of sleep and the family had chosen not to go to any extrodinary measures (feeding tubes and such) so we knew it would be any day and really it was time. She has been unhappy the past few years and her health has been really poor the last few months. So the unbelievable part of this story is about my older daughter, M. Grandma Eileen is somone M has met a handful of times in her life, usually for short 10-15 minutes visits. But we do talk about them and look at pictures, try and send a card a few times a year.... So certainly not someone around in our daily lives. As far as I know, M didn't know anything about Grandma being sick and I haven't mentioned her at all in the last little bit. All my calls with my mom have been after the girls were in bed.. So.... she comes down the stairs this morning at 7:00 (about 1 hour before grandma passed) and the first thing out of her mouth is "when I am grown up and have a baby, if it is a girl I will name her Eileen after my great grandma so I can remember her." And then she just progresses about her day as if nothing has happened. What a wonderfully sweet comment, and certainly makes you think of what made this come at that specific moment. Please send good thoughts to my grandpa. He is 103 and has been with Grandma for so very long. His mental state has slipped this past year so there is some confusion. It will be tough on him and I think most of us believe this will be the final chapter for him. After being with someone for 70 years, it really is fitting for them to leave this world near the same time. We have had some wonderful glimpses of spring the past few weeks out in the Northwest and I am feeling such an urge to garden. So we did gardening for our project. The girls painted and "bedazzled" these lovely pots. M did a nice job doing some flowers while N has a wonderful abstract piece. She had a bit more of an attention span with this project than ones in the past, so I am hoping she will become more interested in projects instead of just wanting to play "baby" with me. We then did planting in peat pots to get ready for outdoor planting in the upcoming months. We did nasturiums and zinnias. As much as I love our house and our yard, the lack of sun is discouraging for a gardener. We have a grow light helping out our cause to give the plants a boost. Wonder if I could install some of these outside????? It always feels good to check off a project from the to-do list. Though it seems for every one project I check off, I add 3 more! Not a very good balance. It helps that this project was for someone else so I was more motivated to get it done. I was helping my friend Katy from SycamoreBaby finish her Big Sister Busy Box for her neice. I just made a bunch of craft kits from all the great craft crap I have in every corner of my craft cave. I figure that Katy can pick and choose what will work well for her neice and then keep the rest for her own daughters. I was thrilled to help and, even better, we are doing an exchange where my girls are going to get some of Katy's FABULOUS one-of-a-kind monkey shirts. I am definitely the winner in this exchange! I hope these things work out well and that it helps keep the new Big Sister busy and entertained to help the parents adjust to life with 2 kids! This is my "Craft Cave". I was getting ready to get it all cleaned and organized to take some photos but then realized that wasn't very realistic. So here it is in all its glory. These photos may not be for the faint of heart or the organizational freaks out there in cyber land. Please don't judge me for what you have witnessed here. I promise there is a system and it does get cleaned and organized but I tend to get carried away with multiple projects at the same time. The lovely thing about this room is that it is tucked away in a corner of the house where nobody needs to enter, but me. I can close the door on my disaster and be at peace with it. I was very fortunate to stumble on this space in our house-hunt 18 months ago. This room was used as a dark-room with the black counter going all the way across the long wall. We added the Ikea closet system and a craft room was born. My husband was out of town this weekend so I have been spending lots of late nights in the room. I was making some paper doll kits and craft kits for my friend's niece so she can put together her own Big Sister Busy Box. I am also trying to organize photos for my upcoming scrapbook retreat (only 13 days and counting!). I am stenciling a lampshade for my older daughter. Oh, and her science fair poster is taking up some space too. So there it is. If you visit my blog again I am sure there will be more photos of the room. I will get some pictures of it when it is looking a bit more presentable and also some close-up of some of the tools and spaces for all my projects. Welcome to my blog. I am a little late on the blogging craze but always am looking for something to keep me entertained and away from doing housework! The title is probably a bit misleading. I really am not too creative of a person but do a good job copying other ideas. But I am hoping to share some of the craftsy activities I am doing along with other interesting things happening in my life. I don't know if it is the teacher in me or I am just a freak but I feel the need to create a plan for my blog with some themes that will repeat on a regular basis. Things like "Kid Project Tuesday, "Scrappin' Sunday" and "Favorite Photo Friday". I hope to share some fun things that I am doing around the house with the girls and in my "craft cave." And I really hope that this will help keep me accountable for finishing some of the many projects that I want to finish. Writing is certainly not one of my strong points so I hope to focus more on photos and captions to tell my stories. Anyways, I hope you enjoy reading my blog and sharing some ideas that will help expand my creative side!